I finally got to do it. 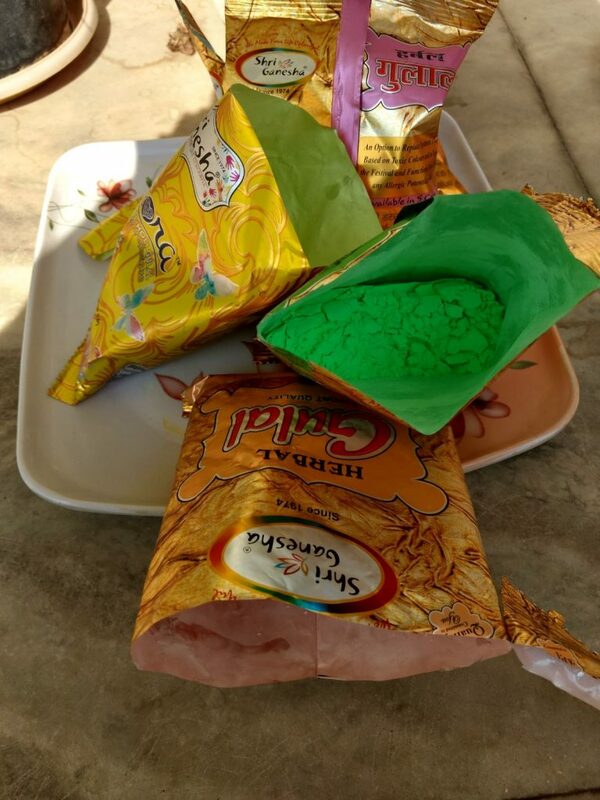 I finally got to play Holi. 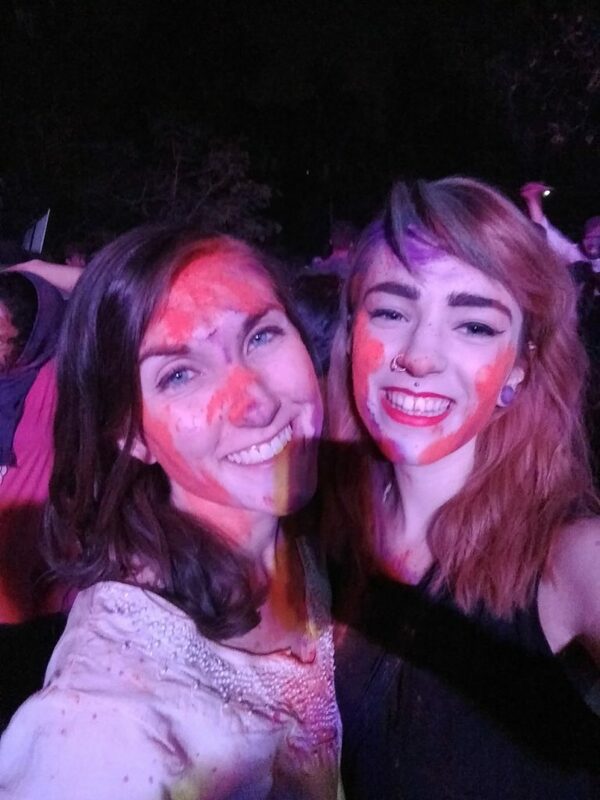 For those of you who don’t know, Holi is the Hindu festival of colors and it is an absolute party. Ever since I knew I was coming to India, it was the thing I was most excited about. And it’s pretty clear why. First of all, you don’t “celebrate” Holi; you “play” Holi. I think that phrasing says a lot– it’s definitely not a sit-down, family dinner thing. 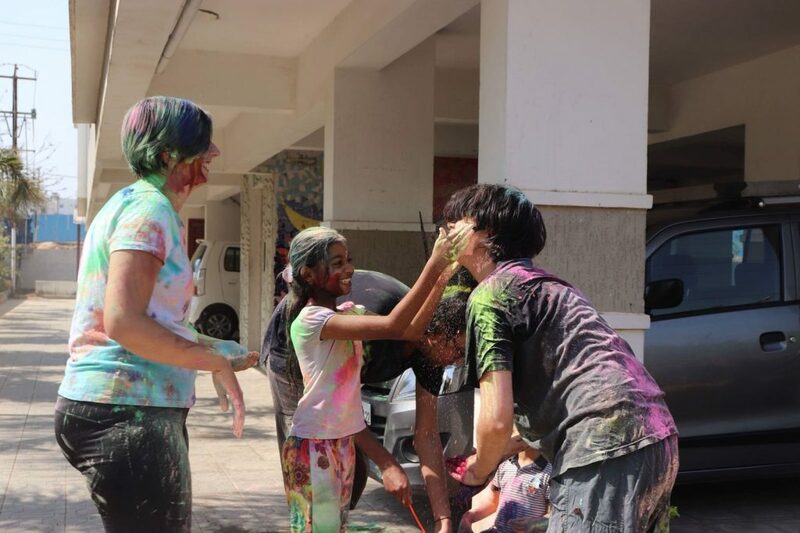 To play Holi, people smear color all over each other, have water fights, and dance. Color runs everywhere. There were even a few points in the day when I couldn’t open my eyes because I was surround by a thick cloud of pink, or blue, or green, etc. 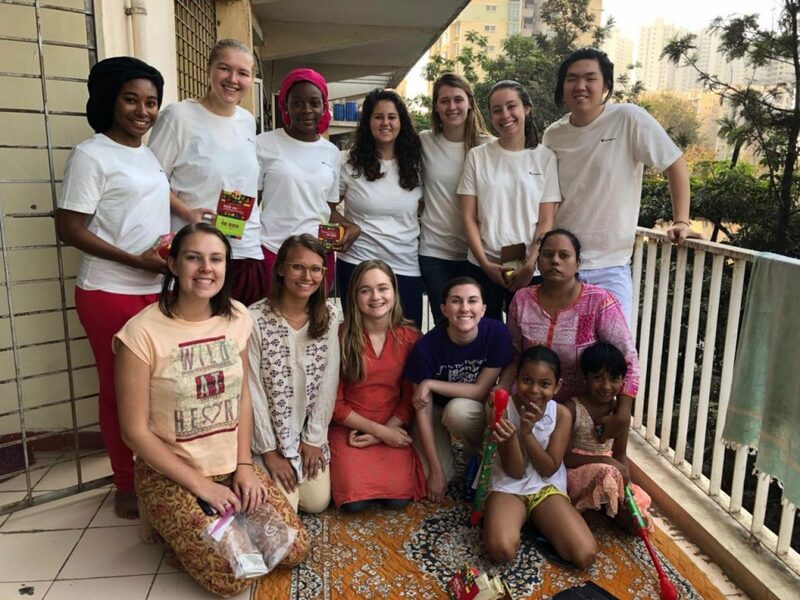 For the first half of the day, I went over to my director’s house to play Holi with the people in her family and neighbors. When I was invited, I thought that would mean *at most* thirty people but the total was more like a few hundred. The venue was packed with people and there was even a full water tanker truck, a DJ, and reporters. I’ve been to some wild block parties but all that was something else. By the time I left, I was drenched head to toe in the rainbow. Afterwards we did our best to clean ourselves up. I say “our best” because the dye in those powders really clings on to you. My neck stayed somewhat blue for two whole days and the outfit I wore will probably never recover (R.I.P.). Was I warned about that? Yes. Did I prepare enough for that? No. Still, the fun of being out in the thick of things was absolutely worth it.